In a recent op-ed published in these pages, a Service Employees International Union-United Healthcare Workers West (SEIU – UHW) representative attacked nationally recognized hospital quality experts and questioned Stanford Health Care’s (SHC’s) commitment to patient and employee safety. This was not the studied assessment of a medical or quality expert, but rather a tactic adopted by a labor union as a negotiating strategy. As a clinician who has day-to-day knowledge of the manner in which SHC provides care, I want to assure our community that patient safety is our priority, that we invest heavily in advancing it and that the results are clear. U.S. News and World Report, for example, ranked SHC 9th among all U.S. hospitals in its 2017-18 Best Hospitals Honor Roll. In fact, SHC has ranked consistently among the nation’s top hospitals for years in many ranking systems. Academic medical centers (AMCs), and Stanford in particular, provide care for some of the sickest patients in the world. Our case mix index, a federal index of the resources required to treat patients and hence of their acuity of illness, is currently 2.53 — among the highest of all AMCs. These very ill patients are particularly prone to health care-associated infections, due to their frailty and vulnerability, and we continually seek to protect them by improving our already excellent infection control. Currently, we have more than 120 unique safety and quality initiatives, incorporating the expertise of clinicians, patients and infection control physicians. Data from Vizient, an independently recognized health care performance improvement organization, place SHC 14th out of 95 centers last quarter in safety among the most complex AMCs in the U.S.
Our ongoing goal and intention is to be the very best, and to continue to share our outcome data with the public. We are already transparent in this regard, sharing clinical data with federal, state, and local agencies and quality organizations. We have also developed a public website that we continue to update with the latest quality statistics and outcomes. Adversarial advertising and op-eds designed to advance collective bargaining positions should not be confused with current and real data collected and analyzed to assess and advance the quality of the Stanford Health Care system. Confusing advocacy positions with real information is a disservice to the physicians, nurses, housekeeping staff and many others who have dedicated themselves, above all else, to caring for our patients and serving the larger community. SHC always seeks to be the best, and to be the best at getting better. We are all very fortunate to have this resource in our community, and to be able to access its world-class care. 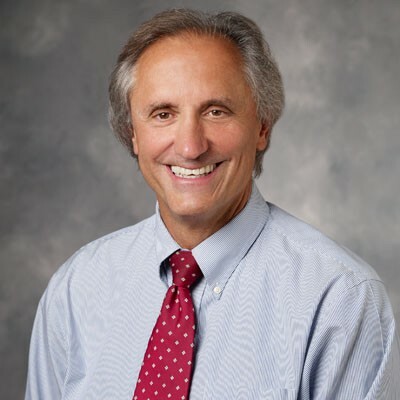 Norman Rizk, MD, is the Senior Associate Dean for Clinical Affairs at the Stanford School of Medicine and Chief Medical Officer at Stanford Health Care.